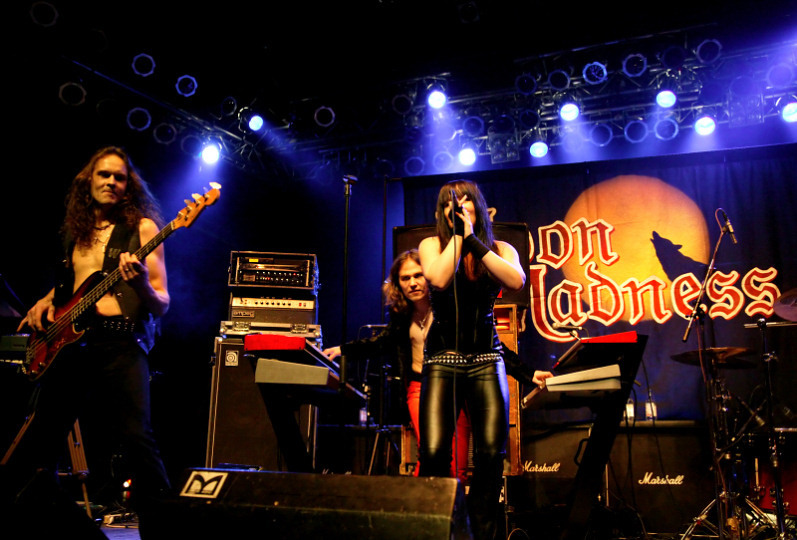 The metal cavalry of Christmas Is Heavy toured in Finland this year for two shows, kicking it off from Helsinki, then visiting Oulu and finishing it to Tampere for a third show without the Christmas theme. 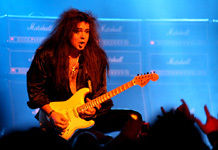 The headliner Yngwie Malmsteen toured with different support bands around Finland, and while those in Helsinki were Vixen and Kilpi, Tampere had an all-Finnish support team. 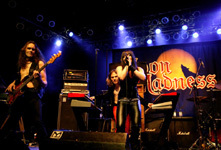 It would've been a plus to see the original 80's line-up in all places, which also first included UDO who had to cancel their shows, but I was curious to see the newcomers MoonMadness, as their promo this year was quite impressive, so this part from the tour is written from the Tampere show. And of course, Brother Firetribe always makes it all worthwhile. Pakkahuone was bursting with people. 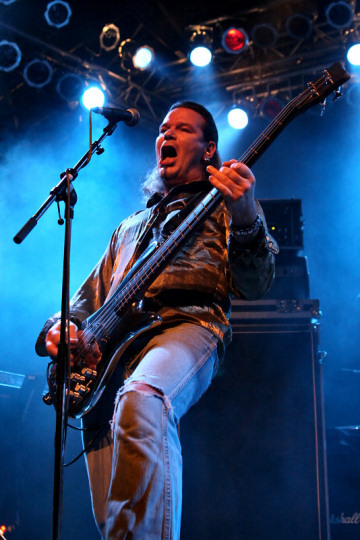 It was hard to imagine such a case scenario, when Malmsteen has been visiting Finland regularly from the 80's, although his last visit to this country was about ten years ago. Personally being his fan from beginning I was about to witness his show at least for the sixth time, but who can keep track of his shows, when the guy seems to be just everywhere! 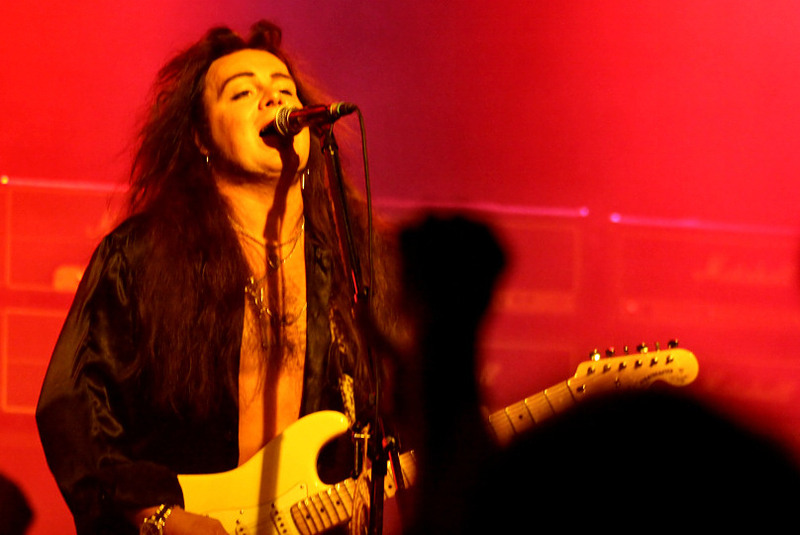 When Malmsteen began his show, it was really hard to see on stage from so many people, but most of the crowd reached Pakkahuone just before his show. Those who were present earlier mostly decided to spend some time in the bar. The area was separated so that underaged were able to see the show from the left side of the stage and parts from front and right side. Otherwise people were able to walk freely with their drinks, which was a nice change from the usual Finnish events, that are very strict about bringing alcohol elsewhere than the bar. 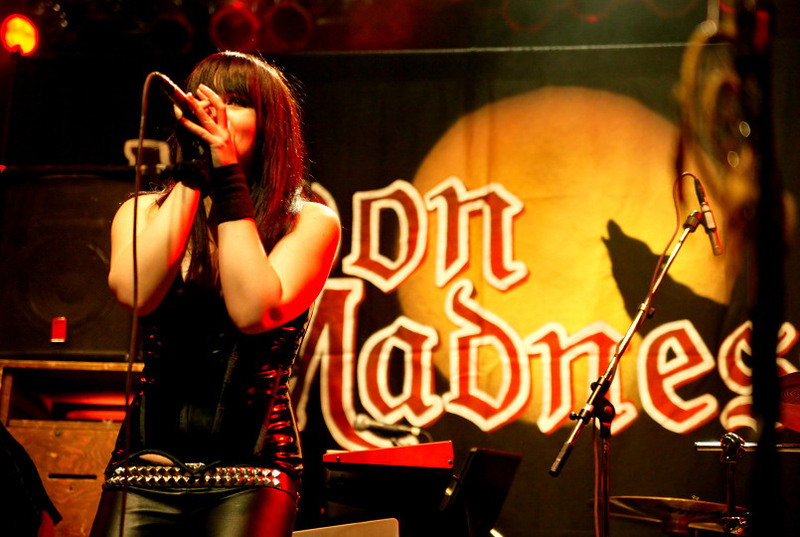 MOONMADNESS was destined to play for half-packed house in their own city, and their new singer Heidi Bergbacka seemed a little frustrated while trying to get the rock'n'roll crowd into the right spirit. Strangely the band opened up the show with their hit "Thunder", which worked well live, although they and Brother Firetribe didn't have the best sounds. This was because the schedules were so tight, that support bands weren't given a proper time for soundchecks. The stage was really small for MM also. 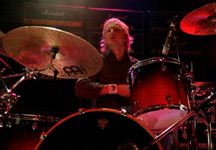 Their drummer Antto Nikolai was hardly seen, his drumkit wasn't raised high as usual, so he was playing behind Heidi's back. Keysman Turkka Vuorinen, also known earlier from Dreamtale, was very visible though, and he was probably smiling the most through the show and he seemed to have a good time. 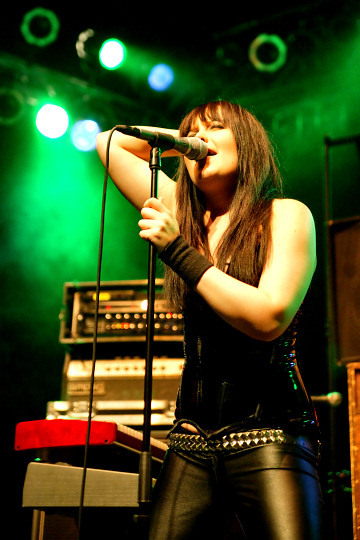 Although things didn't go as planned for MoonMadness, the band still went through their set in cheerful manner and Heidi showed good showmanship (showwomanship) with her speaches and her way of taking the stage. Unfortunately her vocals were mixed too low because of the short soundcheck, and it weakened the show a little. 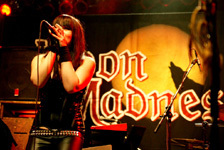 After all, MM is a melodic hard rock band that focuses on vocals, keys and great guitar melodies. 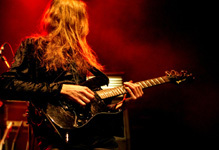 Guitarist Otto Hallamaa impressed many with his guitarwork. 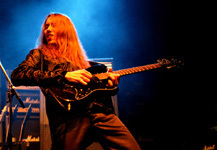 Before hitting the stage it was still unclear whether he'd go on stage with his Stratocaster similar to Malmsteen, but the guitar was seen on stage along with another one. 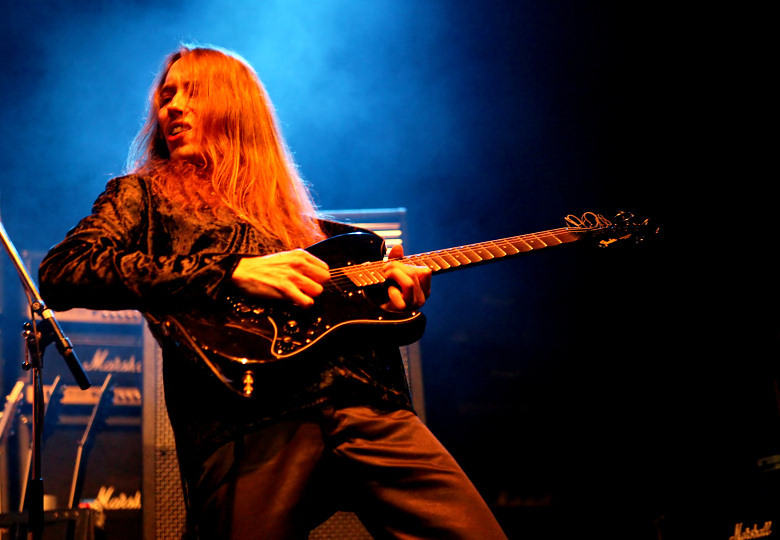 Otto's playing resembles that of Malmsteen, but it's clear to most guitarists that their influences mostly come from same sources. Malmsteen fans probably found a new guitarist to keep an eye on. Bassist Juha Leppäharju kept the show more stable, standing in front of Turkka and occasionally letting it loose with Otto and the rest of the band. With all the troubles, MM still showed they're a hard rocking band, and got a fine response from the crowd being a support band playing to such a small crowd. 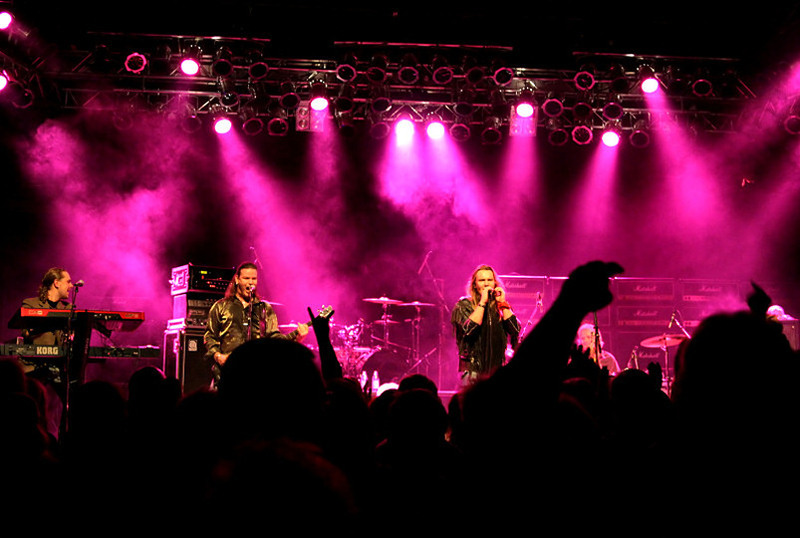 They recorded this show on DVD and will be releasing a debut next year, so keep this name in mind, if you like classic hard rock based on melodies and rocking songs. The second band of the evening was one that has caused some sort of fuss around the hard rock fans, who still long after the 80's glory days. BROTHER FIRETRIBE has toured around Finland tightly for the last months in support of their debut album, named "False Metal" in Europe and elsewhere "Break Out", giving their fans the dose of sweet 80's with Leverage-singer Pekka Heino going for all those cliches from the past, yet not being cheesy at all, although opinions vary. The band once again played a very good set, this might've even been one of their best from their latest shows. The gig took off with the familiar tennis-match intro and then it was time to blow up the place, starting furiously a bit before their time and showing the more serious metalheads that even a rocker can smile sometimes. 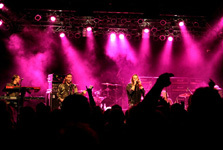 That's what the band is about, giving their fans an energy-packed show. Nightwish-guitarist Emppu Vuorinen, the second Vuorinen on stage this evening, is well known from his Duracel bunny-like presence on stage, showering the crowd with guitar picks and jumping all around, but the rest of the guys do just as well. Amazingly the crowd wasn't as stiff as was expected from a normal Malmsteen crowd, and people were singing, photographing and dancing to the music and just enjoying the show from the bottom of their hearts. 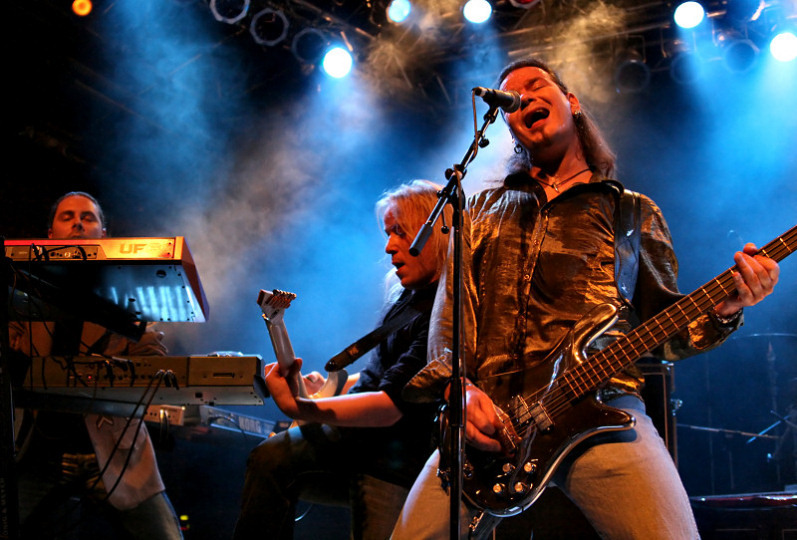 Of course there were many who were just curious to see Vuorinen in another band, and even Nightwish-songs were requested. Some even showed unsporty faces and screamed the band to get the hell out of stage. How childish is that. If you don't enjoy it, you don't deserve it and you should just go and get another beer and let the rest enjoy the show! If that doesn't spoil it for the rest, what is truly annoying is when someone's singing their lungs out next to you off-key, or be it a nasty chaos, people kicking each other or alike, but luckily the only bad action from the crowd was just badmouthing. The band either didn't hear it or weren't bothered by it, and threw a marvellous gig. Singer Heino wasn't as talkative in this show as usually, but some nice comments were heard. In an earlier show he even spoke Swedish eagerly, the second official language for Finns. As fast as the band came on stage, they also disappeared from it. Strangely I wasn't craving for Malmsteen after this blazing show, but was pleased of his show too after seing it. Setlist: Tennis-intro, Break Out, Lover Tonite, Valerie, Spanish Eyes, One Single Breath, Devil's Daughter, Midnite Queen, I’m on Fire. YNGWIE MALMSTEEN is a name that divides opinions. One thing's for sure though, even if you don't like his egoboosting manners, you can't deny the fact that he's kept his guitar hero spotlight for years. Being very dedicated to his Stratocaster he was once again seen on stage doing his usual tricks with a few of his guitars, even treated his fans with an acoustic guitar performance. 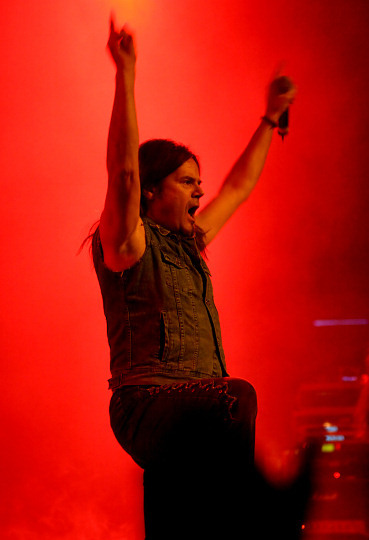 If you're not into guitar-oriented metal, his performance is the thing that will please you in the end. 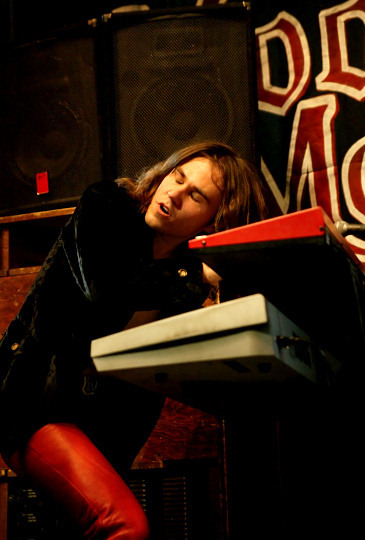 In the beginning of his career Malmsteen mostly concentrated on more melodic music, but for the past years his releases have been going to a direction which normal metal consumers aren't too keen on. Sure his classical playing is over the top and those releases are brilliant, but still so many of his fans prefer his 80's period, where his band performed with more feeling and less instrumentals and solos. Seing his show in Sweden Rock 2005 I had my doubts which direction he'd go for in Finland , but his two-hour show was very pleasing, giving his colourful crowd songs throughout his career, even from his Alcatrazz days. Malmsteen has during his entire career improved with his showmanship, and while some are disgusted by his cheesy manners and the 80's looks with perm and make-up, it's exactly these things that keep people coming to his shows along with his musical talents. So once again his fans were treated with those famous high kicks, guitar tricks and necklicks, teeth picking, ripping off guitar strings and whatever you can fancy. The energetic show also stumbled on few mishaps. 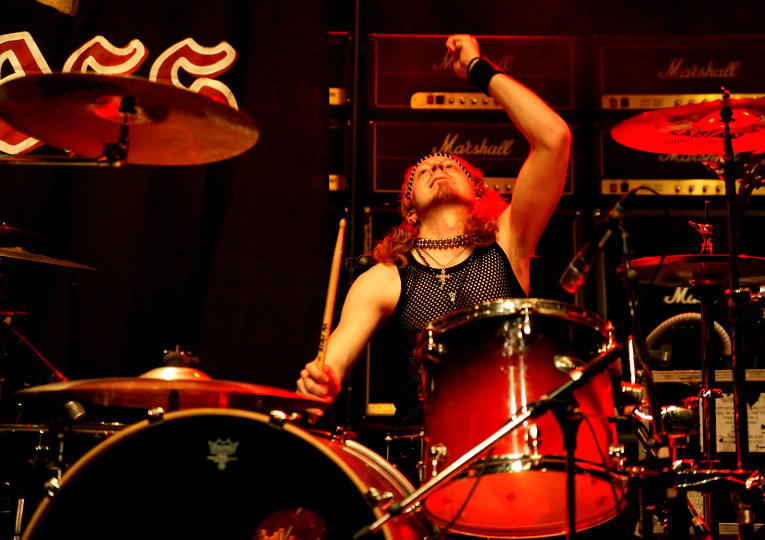 The roadie for Malmsteen had to help him after a guitar spin around his neck to get his tangled hair off the guitar. Well, happens for the best too. 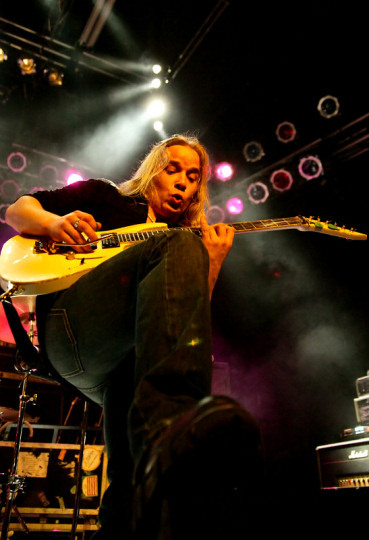 The roadie also kept filling the guitar hero's pick supplies, as Malmsteen who seems very comfy on the right side of the stage, is very fast showering them, so Emppu Vuorinen found a winner in him tonight. It's quite unlikely Malmsteen has grown out of that starlike attitude he's know from, when the professional photographers weren't allowed to enter the photopit during his show [Ed: therefore there are only a few photos of Malmsteen]. Iron Maiden layed the same rules in Finland, although only for internet medias, which is hard to understand. Some people are making the internet a too big issue or haven't yet realized the power of it or understood the fact, that their fans are the ones who keep them at their dream job. We still try to provide fans what we can though. As in Malmsteens other shows, Tampere heard him starting the gig playing behind the curtain. The first notes caused screaming already and the front of the stage was packed real fast. 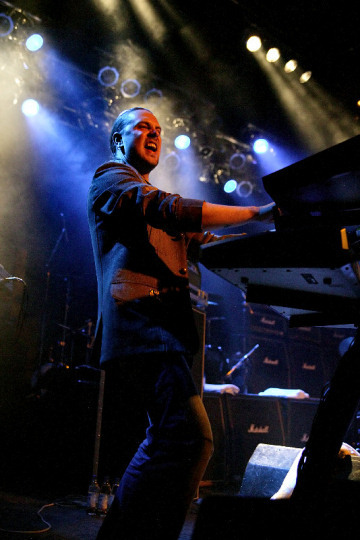 It's been a long wait for Finnish Malmsteen fans, so the enthusiasm was understandable. The stage was filled with a stack of Marshall amps, and I couldn't help wondering how many were actually in use, but "what you see is what you get" seemed logical with those noise levels. The army of amps seemed a little exaggerated, the last time something like this was seen was in a Manowar show, but that's Manowar. They played in Kulttuuritalo in the early 90's and those present will probably never forget the earthshake treatment to their eardrums. In Malmsteens case it wasn't as bad. 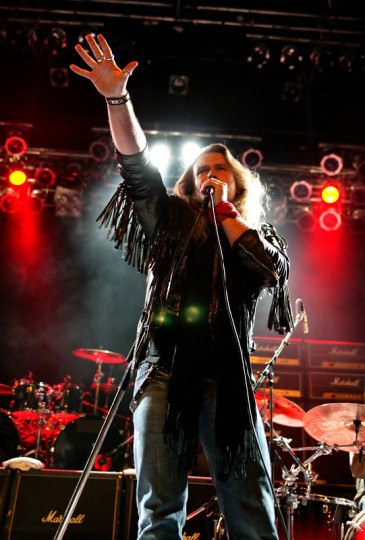 Nicely after the guitar intro the show began with "Rising Force" and that was very promising for old school metal fans. 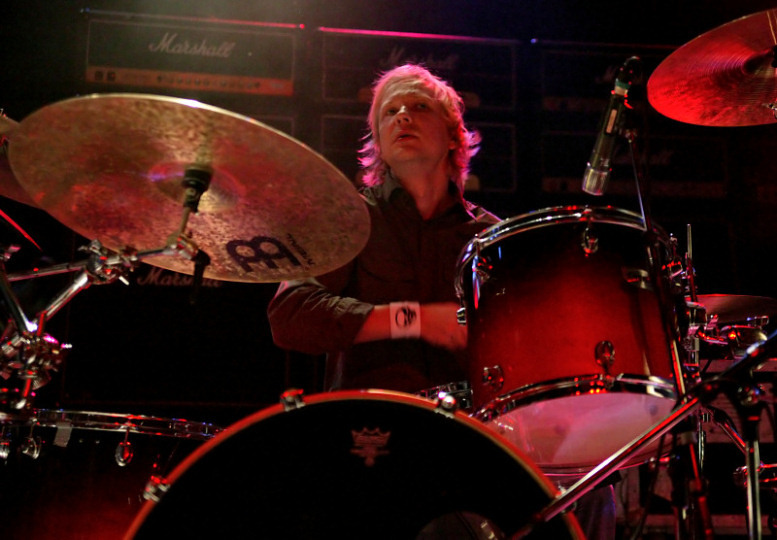 The band on this tour was very professional and performed quite fluently without bigger frictions. Bassist Mic Servino was the most unvisible guy on stage. It was interesting to see old Dream Theater keysman Derek Sherinian there as well, but it didn't go unnoticed that Sherinian seemed very unpleased on his left corner on stage. 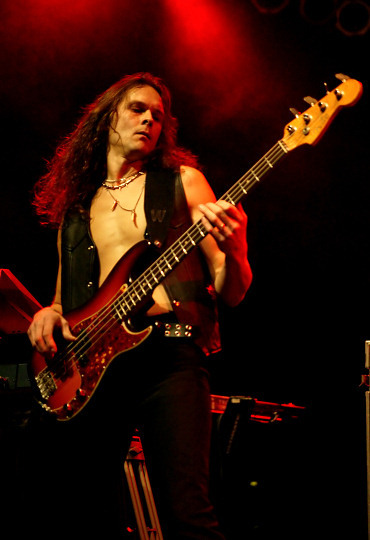 Maybe he just wasn't in the right mood, but a sour face doesn't really belong to a Malmsteen show, be it that here was a very professional musician who also played that way. Sherinian was covered in smoke at times so badly, that you just couldn't see him. Drummer Patrik Johansson got his spotlight at the drumsolo, which wasn't too long to bore people, and it was even better than most drum solos. 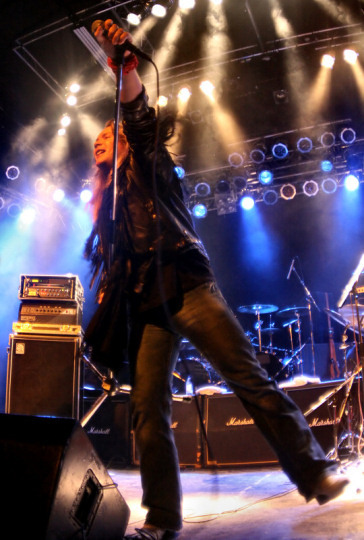 When the support bands weren't given much time for soundcheck, it was all different with Malmsteen, who made his singer Doogie White warm up quite a long time while doing the soundcheck himself. So when White came on stage you either waited his vocals to go haywire or rested assured that he was well warmed up. 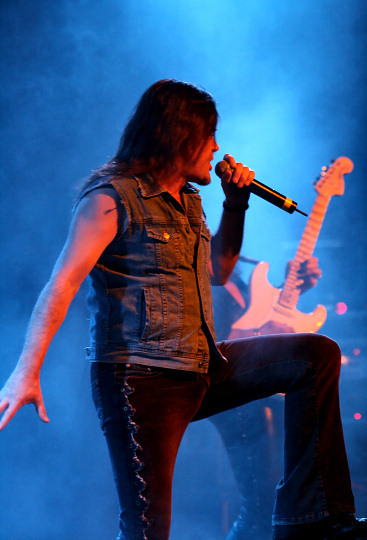 Being one of those singers many look up to, maybe because of the likeness to Joe Lynn Turner, he sang alright, as did Malmsteen when he sang himself, but generally the show was so energetic and theatrical, that even if everything wasn't perfect you still enjoyed it. While some people are neck up fed up with the 80's, it's good there's still people like Malmsteen out there, still having his obsessions to playing and those Ferrari cars he keeps advertising behind his guitars. If it weren't for people like him, we'd be lost in the modern superficial nu-metal, rap and hip hop world. When Malmsteen seems superficial judging by his looks, his playing still has that warmth we're all familiar with. "Dreaming (Tell Me)" proved his fans he's still got the right touch and it was one of the highlights of the evening. 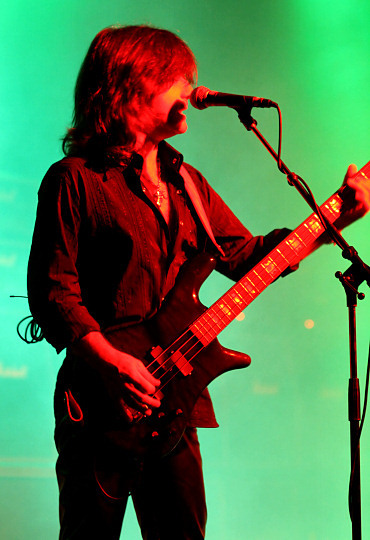 And if that atmosphere doesn't do the trick, speed rules and Malmsteen is the King and cream of that crop. And one might add, pretty flawless in his territory too. Setlist included (not in order): Rising Force, Demon Driver, Baroque'n'Roll, Exile, Far Beyond The Sun, Hiroshima Mon Amour (Alcatrazz), Crown Of Thorns, Star Spangled Banner, Dreaming (Tell Me), Fugue, Gates Of Babylon (Rainbow), Burn (Deep Purple), Cherokee Warrior, I Am A Viking, You Don't Remember (I'll Never Forget), Black Star, Locked And Loaded, I'll See The Light Tonight. 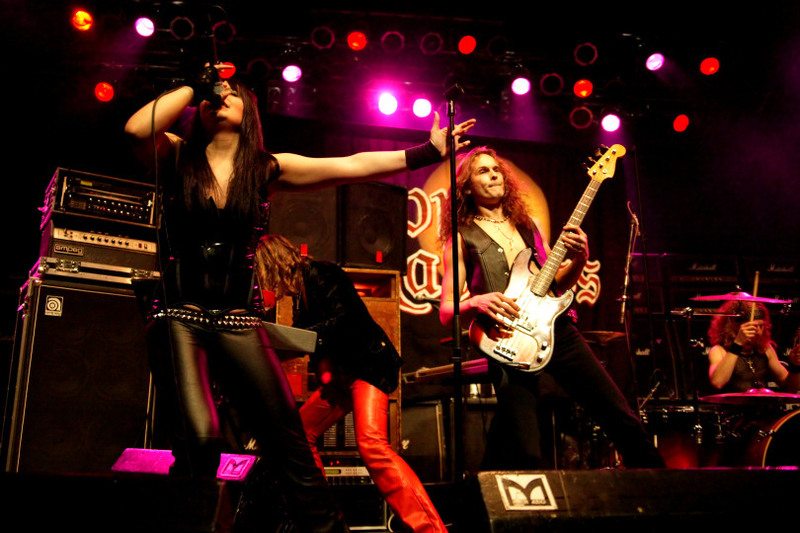 All through the show the Vixen-girls and Firetribe-boys checked Malmsteen out on the left side of the stage and seemed to be enjoying it. 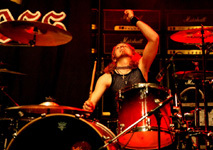 When the show was over, Malmsteen drummer Johansson showed some courage by going out to the local Inferno-bar hanging out with the normal metal fans. Evidently not many knew who he was, as he got to spend the night quite peacefully. Pakkahuone really needs to improve the space between the concert area to the lobby coat racks and the toilets right next to them, as aftershow the outgoing lines go all the way from the concert area to the lobby and in case you're in a rush to the toilets by now, you might get in a fight while trying to reach them. Convincing the drunken people of your intentions that you're not trying to push past them is hard at this point. Otherwise the venue is decent, although Pakkahuone never has the perfect sounds due to its wall materials and the hall-like environment.